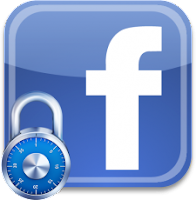 Today, we will show you some ways to quickly block access to Facebook.com – because sometimes you need to block distractions in times of study, work or home. With these services, you decide which sites to block and how long of a duration of the block. One of the most common methods to prevent access to social networking sites or other sources of distraction are to use programs that are installed and run in the background. On the internet you will find many options, some freeware, others paid. We suggest: block it for me , a free utility that takes only a few steps to block access to various Internet sites including Facebook, Twitter, Blogger, LinkedIn, WordPress.com and many others. Just run the program and choose which services to monitor, store and activate. Other similar software is called The Web Blocker , it is free but also more customizable. And 'in fact it’s possible to choose a password to enter to remove the block. Obviously software is easy to start, easy to terminate a process to circumvent the block. Just close it or uninstall the program to unlock and access facebook. A block is much more effective by modifying the Windows hosts file, which regulates access to files and various web servers. 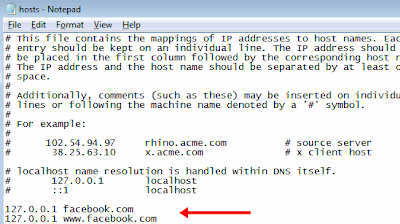 Entering Facebook.com as an exception makes it so the site will not be able to be visited from any browser or application on that PC. Follow instructions: the "hosts" file is on the path: "C: \ Windows \ System32 \ drivers \ etc". Open it up by right clicking and selecting "open with" - Notepad. If you're on Windows Vista/7/8, you must also open the file with administrator permissions, required for the modification of system files. If it is necessary for you to open the first Notepad with administrative privileges (right button - run as administrator), and thereafter from Notepad, open the "hosts" file. Save and close the file. Now try to visit the Facebook site, if you have done everything correctly, it will be impossible. To restore access to the site, you will have to redo the process erasing the line previously added to the file "hosts".